3. The shoot rack matching protective appliance has a manual up and down adjusting system. 4. 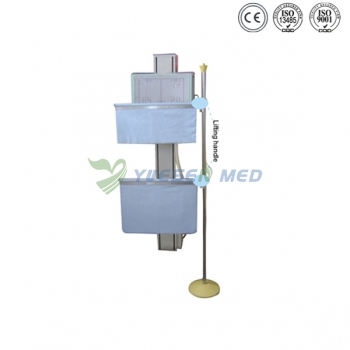 It is suitable for shoots of the situated chest, side chest, or the cervical vertebra of different statures. 5. It can be equipped with all kinds of the shoot racks, which can effectively protect the patients from the radiation of x-ray during their shootings.